In this 4 night Open the Heart and Still the Mind silent retreat we will reflect with kindness and compassion on the year which is ending, creating a space of possibility for new beginnings and joyful discovery, as we welcome the new year with an open and generous heart and mind at the beautiful BRC. In a contained and nurturing atmosphere of contemplative (Noble) silence, we will transform the self-critical, judgmental inner voices which keep us stuck in the past, so that we can discover that each breath offers the possibility of a new beginning and greater freedom. As we enter the new year with compassionate simplicity, inspired by Buddhist wisdom teachings and embodied and calming meditation practices which open the heart, we will remember what really matters on this wondrous path of awakening. 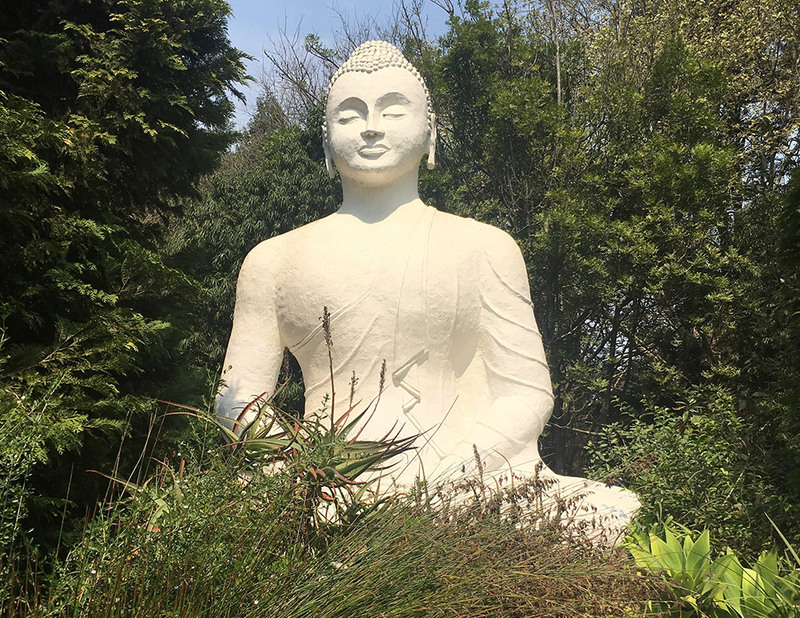 This retreat includes guided sitting and walking meditations, short individual sessions with Sue and daily sessions of qigong movement meditation to enhance the healing and integration of body, heart and mind. We will welcome the New Year with a ceremony which includes chanting and a lantern-lit perambulation around the Buddha, and we will usher out the old year with an ancient Chinese temple gong. If you would like to book an individual session before this retreat, in person (if you are in Cape Town) or via Skype/Whatsapp, the fee of R900 is fully covered by medical aid. Please contact Sue on sue.stillmind@gmail.com to arrange a time. CPD accreditation for psychologists and other HPCSA registered professionals: 30 General CEUs have been granted.